People these days looking to buy or sell real estate turn to the internet for most of the information they are seeking. After all, the web is more up to date, has better pictures and various other data & information that buyers and sellers are looking for. However there is still a percentage of people that like to pick up printed publications to see how the real estate market is acting or reacting. This section of my website is for those perspective buyers and sellers wanting the in hand publications, magazines and guides to buying and selling real estate in Calgary. Most of the publications here are free and easy to find in coffee shops, convenience stores and newsstands around Calgary. With the internet so easily accessible, people kind of get complacent and forget about some of the great magazines, and papers that are out there. In my person opinion there is still nothing like grabbing a copy of Dream Home Of Canada Alberta Edition and sitting down at your local Starbucks or Second Cup , and sipping on a nice latte. Although I am a big believer in internet marketing these publications still have their place in the market ….. for the time being anyway. Who knows …..eventually they might even become a thing of the past with the increasing popularity of the internet and multimedia devices? Below is a list of some of the best printed publications I have found in the Calgary market place. I hope you enjoy them. The Calgary Real Estate News is released every Friday and is published by the Calgary Real Estate Board (CREB) and it Realtor members. 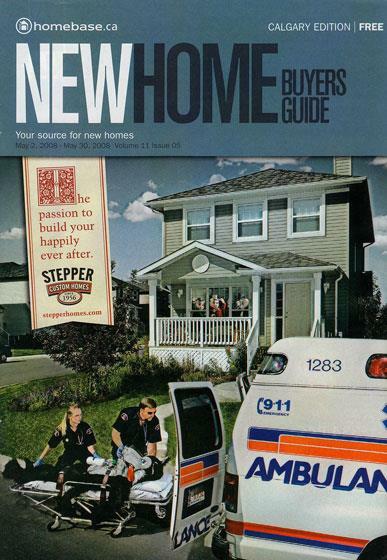 This printed publication is probably the largest and most up to date MLS publication in the Calgary market place. Here you will find all sorts of residential housing information covering single family detached homes, duplexes, condos, and townhouses throughout Calgary and the surrounding areas. 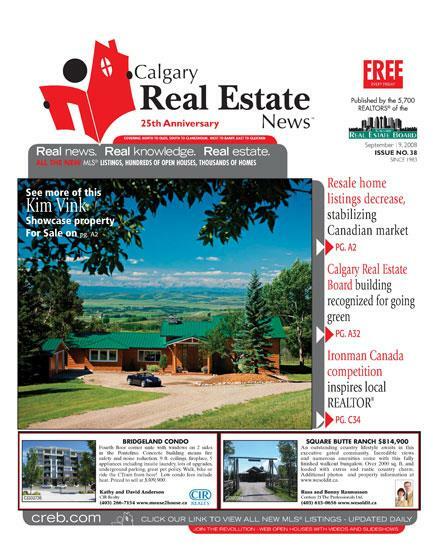 You can find the Calgary Real Estate News at over 1200 locations in and around the Calgary area including most real estate office lobbies, most major grocery stores and convenience stores such as Mac’s, 7-Elevens and various gas stations. You can also find it online at www.cren.ca. This is a magazine I constantly pick up and thumb through every chance I get. 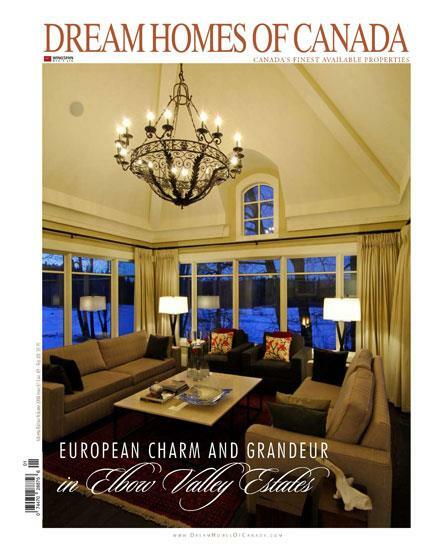 Whether you are looking in the high end market or just browsing for decorating ideas this magazine displays some of the highest end homes in Calgary and the surrounding area. WINGSPAN Media Group and the Realtors, builders and developers that advertise in this magazine really do a terrific job of putting this high end publication together. It is really a great way to view the upper echelon of Calgary real estate. You can usually pick this publication up in coffee shops such as Starbuck and Second Cups as well as real estate offices across Calgary. You can also view the online version at www.DreamHomesOfCanada.com. I recommend the printed version for the full effect. Home to Home Calgary & Area is a magazine that is published on a monthly basis by the Calgary Real Estate Board and its 5,700 Realtor members. It’s content covers single family homes, condos, acreages, and investment properties. It often contains good information pertaining to Calgary neighbourhoods and activities within those neighbourhoods. 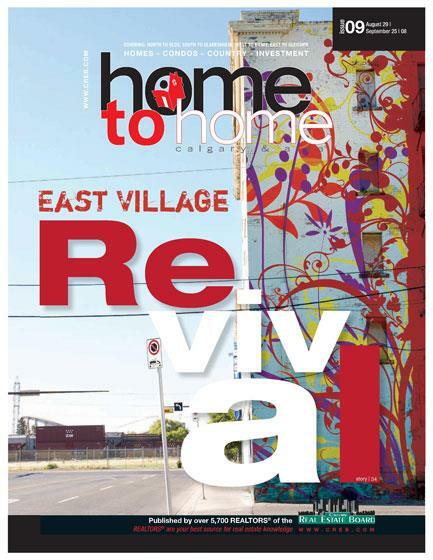 You can also view the online version of this magazine at www.hometohomecalgary.com. This is a great little magazine published by www.homebase.ca on a monthly basis, and features a good number of Calgary’s more reputable home builders. Inside you will find area maps leading to the new communities that are being developed, as well as good information on future communities slated for development. Even though this is a monthly magazine I still find it useful, as it puts buyers in touch with builders and their inventory. You can find this magazine in all the usually places such as grocery stores, coffee shops and real estate offices. Yet another magazine published by www.homebase.ca. This magazine primarily focuses on the new condo market and includes various ads from builders in the Calgary metro area as well as outlying areas such as Airdrie, Cochrane, and Okotoks. From time to time there are also good articles on up and coming developments and areas as well as valuable condo buying tips for both buyers and investors. Overall this is a good publication if you are starting to look for a new condo or townhouse in a newer development. 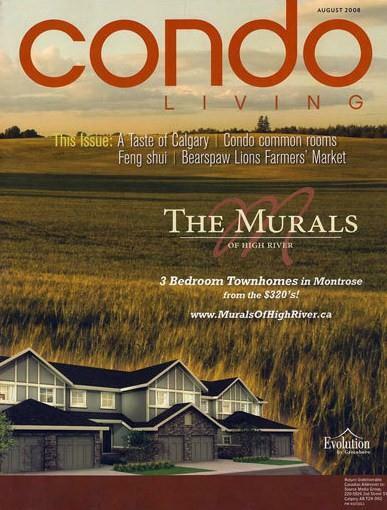 Condo Living is a well thought out magazine with a cutting edge feel primarily aimed at the new condo market in Calgary as well as recreational areas like Canmore and event parts of BC such as the Shuswaps. It is printed once a month, and has exceptional seasonal articles and area specific information on attractions such as farmers markets, recreation centers and community events. 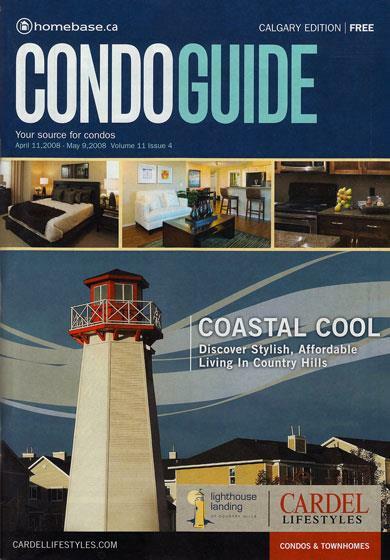 Condo Living is full of useful information….everything from design trends to the latest and greatest reviews on iPods. Oh ya and it has some decent articles and advertising if you are looking for a new condo. You can also check the online version out on www.condolivingmag.com. This one is definitely a good read.